Lung cancer is the leading cause of cancer-related death around the world. 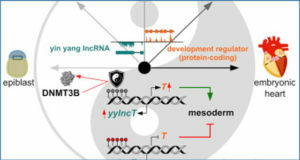 Long noncoding RNA (lncRNA) has pivotal roles in cancer occurrence and development. 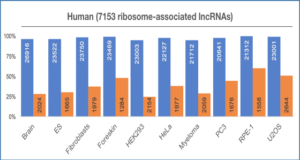 However, only a few lncRNAs have been functionally characterized. 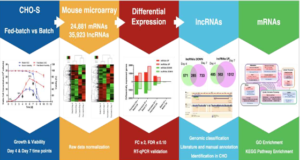 Jilin University researchers investigated the effects of lncRNA-HIT (HOXA transcript induced by TGFβ) expression on non-small cell lung cancer (NSCLC) cell phenotype with the gain-of-function and loss-of-function assays. They found that ectopic expression or knockdown of lncRNA-HIT markedly increased or decreased NSCLC cell proliferation, respectively. 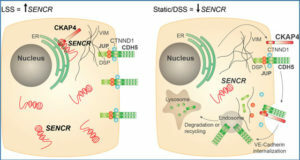 Moreover, they also showed that lncRNA-HIT interacted with E2F1 to regulate its target genes, such as Survivin, FOXM1, SKP2, NELL2 and DOK1. Collectively, these findings indicated that lncRNA-HIT affected the proliferation of NSCLC cells at least in part via regulating the occupancy of E2F1 in the promoter regions of its target genes. 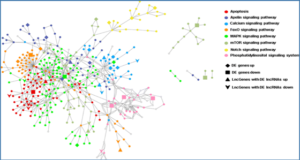 The lncRNA-HIT-E2F1 complex may be a potential target for NSCLC treatment. (a) qPCR analysis of the RNA level of lncRNA-HIT in cells transfected with control siRNA or lncRNA-HIT siRNAs. (b) Cells with transfection of control siRNA or lncRNA-HIT siRNAs were examined by colony formation assay. (c) Cells with transfection of control siRNA or lncRNA-HIT siRNAs were examined by the CCK-8 assay. (d) qPCR analysis of the RNA level of lncRNA-HIT in cells with or without transfection of lncRNA-HIT. 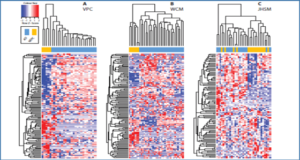 (e) Cells with or without transfection of lncRNA-HIT were examined by colony formation assay. 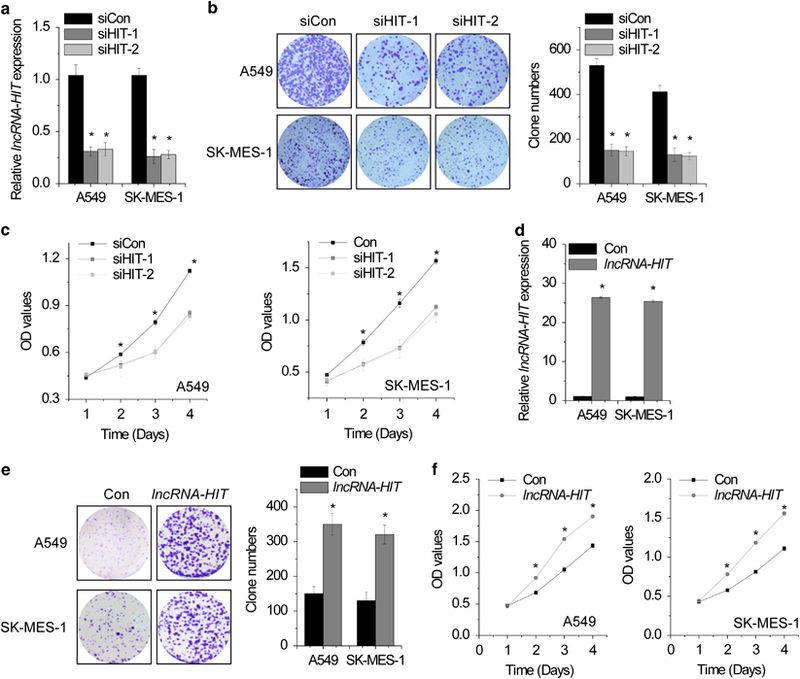 (f) Cells with or without transfection of lncRNA-HIT were examined by the CCK-8 assay. Data are shown as mean±s.d. *P<0.05. lncRNA, long noncoding RNA; NSCLC, non-small cell lung cancer; qPCR, quantitative real-time PCR; siRNA, short interfering RNA.